Holidays provide individuals, families and friends a time to celebrate special occasions. Time-honored traditions and customs mark most holidays in countries around the world. While some holidays are celebrated almost globally, other holidays are specific to specific countries. August 15 of each year marks the Independence Day for India. India celebrates its freedom from the 200 years of British Colonial rule that took place in India prior to its independence in 1947. On the eve of Independence Day, the Indian president delivers his "Address to the Nation." The president delivers his speech from the Red Fort in Old Dehli and unravels the Indian flag at the end of the speech. One of the reasons the president delivers his speech from the Red Fort is because it was the location where the Indian Prime Minister Jawahar Lal Nehru unveiled India's flag on August 15, 1947-the country's first Independence Day. India's residents celebrate the day with friends and family members. Celebrations include picnics, singing patriotic songs, and flying the country's flag, among others. 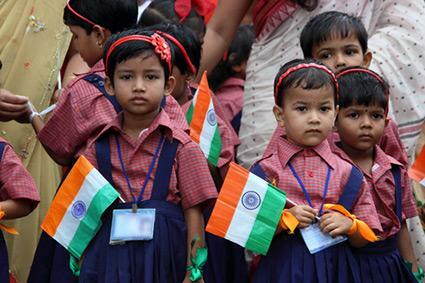 Schools, organizations and individuals often host flag hoisting ceremonies to mark the day. Flying kites line the horizon in India because kite flying is the sport of Independence Day and because the kite symbolizes the freedom of India's spirit. Some celebrate by watching movies about the country's freedom fighters. The movies are aired on public television stations. April 13 through the 15 each year marks the New Year in Thailand. 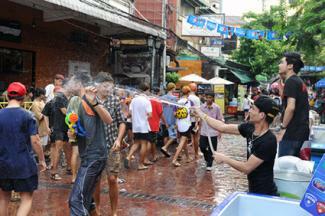 The Thais call their New Year Songkran. The three-day celebration is one of the biggest holidays in the country. Most Thai have a three-day break from work. Many opt to take two additional days off to make it a five-day holiday. The Thais celebrate the holiday with festivities, parades, and religious ceremonies. Water plays a pivotal role in the New Year celebration. Water is recognized as a symbol of purity, so water represents the purity of the New Year in Thailand. Thais dump buckets of water or spray each other with water guns or water hoses as part of their celebrations to bring good luck, fertility and rain for the harvest in the New Year. Australians show their pride for their country on Australia Day, which is celebrated on January 26 each year. 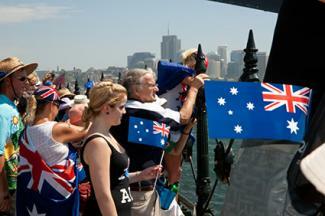 Australia Day marks the first European Settlement at Port Jackson in the country in 1788. Most Australians have the day off from work. Picnics, shopping and watching sporting events are all ways Australians celebrate their heritage. Fireworks and the Australian of the Year Award ceremony takes place on Australian Day. Citizenship ceremonies are also held throughout the country to welcome immigrants that have received their Australian citizenship status. Japan celebrates its current Emperor's birthday each year. The date of the celebration varies according to the current ruling Emperor. It is tradition for the Japanese to visit places of interest to the existing Imperial family on the Emperor's birthday. Imperial palaces and Imperial Villas are some of the places of interest to the Imperial family. Palaces were the primary homes to the Imperial family, while villas were their second homes. 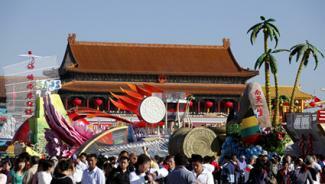 On October 1 of each year, the Chinese celebrate National Day. National Day is a celebration of the founding day of the People's Republic of China. October 1 through October 7 is a holiday week for the Chinese, termed the Golden Week, where most opt to travel around the country. The military comes together at places such as Tiananmen Square to celebrate National Day. Following the military review is typically a large parade. The parades allow the Chinese to illustrate their patriotism toward their country. Flag ceremonies, shopping, fireworks, song and dance shows, and calligraphy and painting exhibits are other ways residents celebrate the holiday. Corpus Christi day is a religious holiday that falls on the eighth Thursday after Easter. 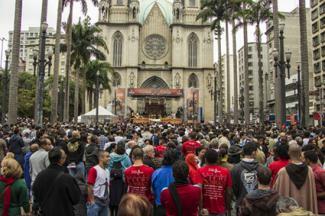 Brazilians commemorate the Last Supper of Christ. Brazilians often attend church on this day. Parades are commonly held throughout neighborhoods across the country. Special carpets are also created in honor of the event and parade. Countries throughout the world celebrate holidays and special occasions with their traditions and customs. Each holiday represents something that is important to that particular country and permits its residents to honor the event that is important to them.